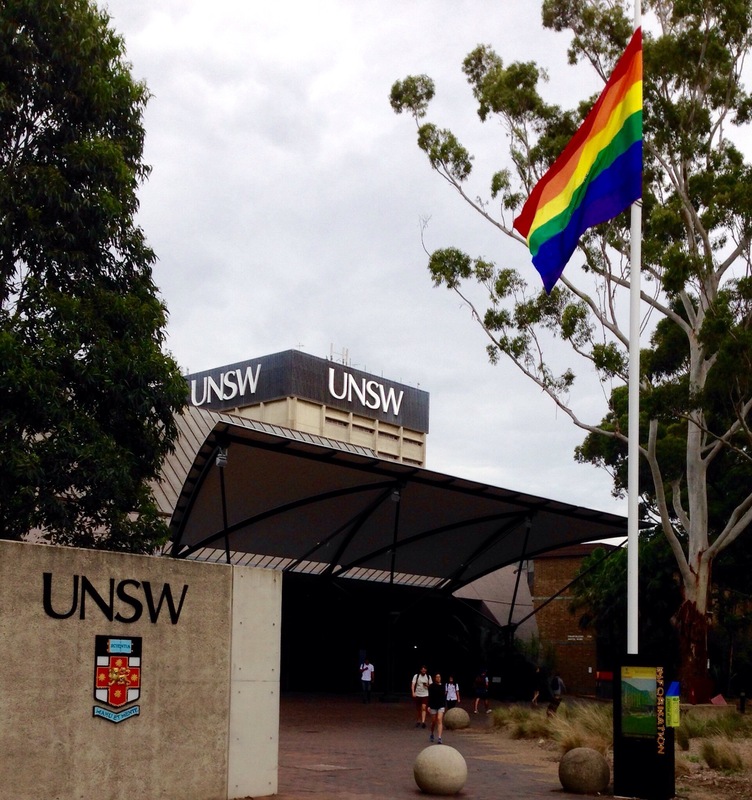 This is the first time in its 64 year history as a university that my place of work has raised the rainbow flag in honour of LGBTIQ Pride and the 2015 Mardi Gras. I don’t believe it’s coincidental that our new President and Vice Chancellor, Professor Ian Jacobs arrived in February; a new broom sweeps clean. Thank you to Ally and the Kirby Institute, Sydney, Australia, for arranging this auspicious occasion. Another sign of hope…. for ALL of us! Thanks for sharing, Robert. Peace. Signs of hope for our humanity. Thanks for sharing. The photo of the flag flying lifted my heart. I like to think that every gesture, no matter how small moves us forward. The world is changing , which gives hope to me.